A Special Summit Message from Darrin Goss, Sr. It was inspirational to convene, collaborate and connect with so many Allies for Good this week at the TogetherSC #NPSummit18. We’re creating unstoppable momentum, and the positive energy is palpable. 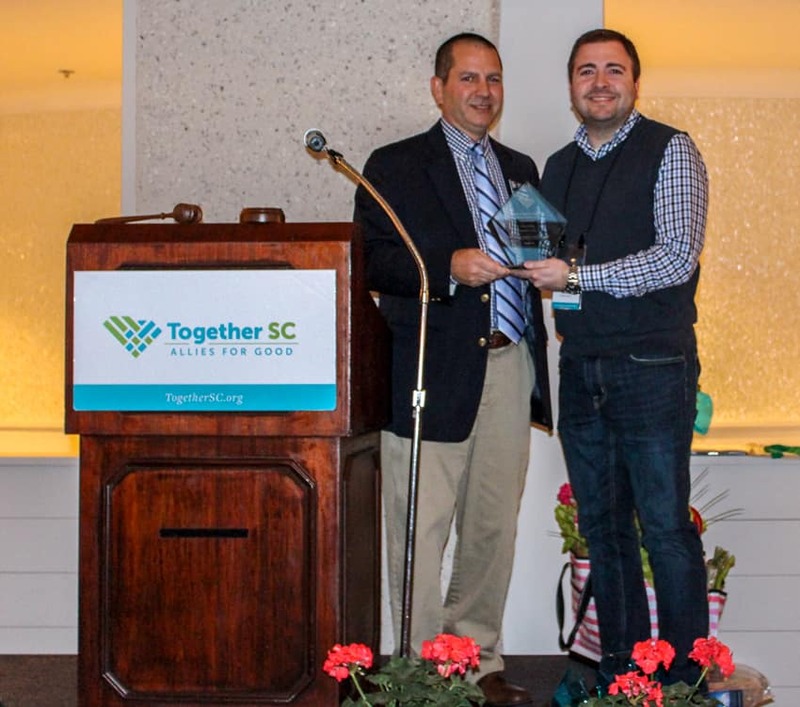 I want to thank Madeleine and everyone who worked to bring together leaders from all walks of life, from South Carolina’s small towns and big cities, and from organizations of every shape and size. I’m impressed by the diversity of backgrounds and thought we have leading the nonprofit community in our state. My Tuesday morning plenary, Creating a Culture of Courage, stressed the importance of our sector having the courage to conduct critical conversations about the greatest challenges affecting our diverse communities. I opened with imaginary newspaper headlines showcasing “What IF?” scenarios of South Carolina leading the nation in education, equity, infrastructure, and economic opportunity. But what if my “What IF?” headlines became a reality? As leaders across the state, we must embrace these aspirations. They don’t have to be mere dreams. We can actually make them happen. We will get there if we start by building our own internal capacity and credibility, and by turning outward to listen, learn, and discover what we don’t yet know. This listening and learning needs to happen in the communities in which we live, and in the communities of the people we serve. We have a problem with structural inequity within our communities. The courage I talk about is the courage to build credibility by speaking this truth. When we can understand that equality—people all starting from the same place—is not our reality, we can begin the work to achieve what I call real equity. Together we can get at the policies that perpetuate the problems, and reduce the barriers that have been keeping people behind for generations. Coastal Community Foundation took an important step on our journey two years ago by committing to a policy of equity and inclusion. I consider it the bedrock of our work, and I’m witnessing it becoming a key element of our everyday practice. We are challenging ourselves to ensure equitable outcomes, from our board and staff to our grantees and vendors. This is just one example of how we could all be working to transform our dreams of a better (the best) South Carolina into reality. Our diverse organizations and the diverse communities we serve share the same hopes, dreams, and aspirations. As I said in my speech, let’s not settle for a South Carolina at the bottom. Let’s "instigate" for a South Carolina at the top. Let’s come Together…SC!